A number of memorials to victims of the Holocaust have been erected in American cities, including Philadelphia (1964), Atlanta (1964), San Francisco (1984), Miami (1990), Los Angeles (1992), Washington D.C. (1993) and New York (2003). The fourth film of the In Time of Place project focuses on one of the most recent Holocaust memorial sites located in Boston and opened in 1995. 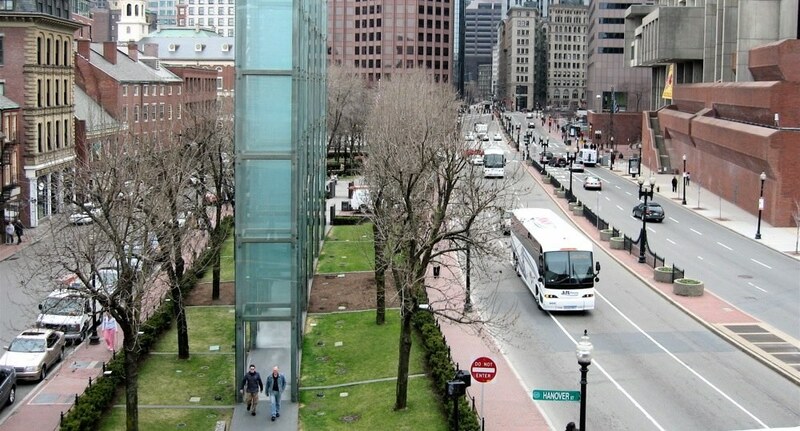 The New England Holocaust Memorial is unusual for several reasons. 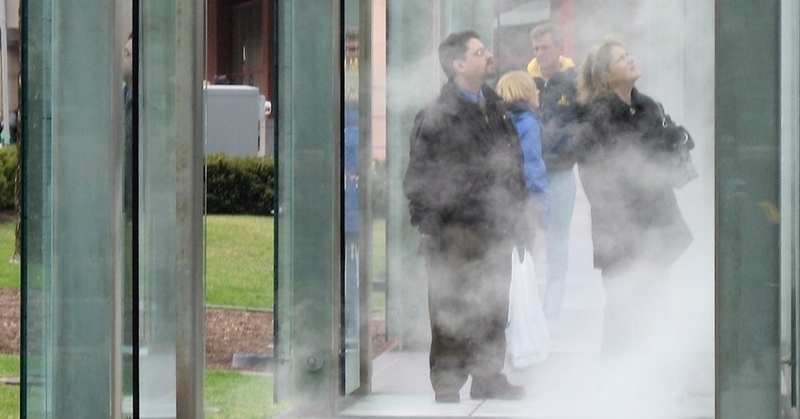 It involves an interactive element, as visitors walk across steam vents within six glass towers, which represent the chimneys of extermination camps. The memorial is situated on what is a greened traffic island, with a six-lane road on one side, which serves as a busy artery into the city centre, and another road on the other side along which ten restaurants and bars are located. These include ‘America’s oldest restaurant’, and ‘America’s oldest tavern’. The memorial site is therefore nestled between a thriving social setting and virtual non-stop traffic, overlooked by the brutalist architectural structure of Boston’s city hall, built in the 1960s. The sharp juxtaposition of architectural and landscaped elements, together with the mix of city workers and tourists moving through the site, creates a lively interplay. The film observes public interaction with the site, and the memorial’s relationship both to its immediate surroundings and to other sites of memorialization that feature prominently in downtown Boston.